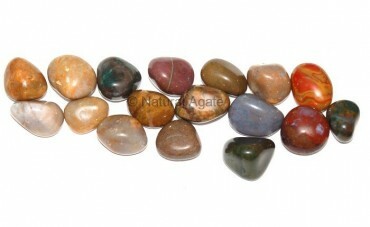 Fancy Agate Tumbled Stone is available on Natural Agate. The stone has various colors, making it colorful and fancy. It aids you to go through spiritual experience every day. It is 15-35mm in size.